While we have seen plenty of electric commuter, mountain, and even road bikes in recent months, the fat bike category has been a little neglected. With their massive tires and off-road capabilities, fat bikes seem like a perfect fit for an ebike overhaul, but so far the options have been few and far between. 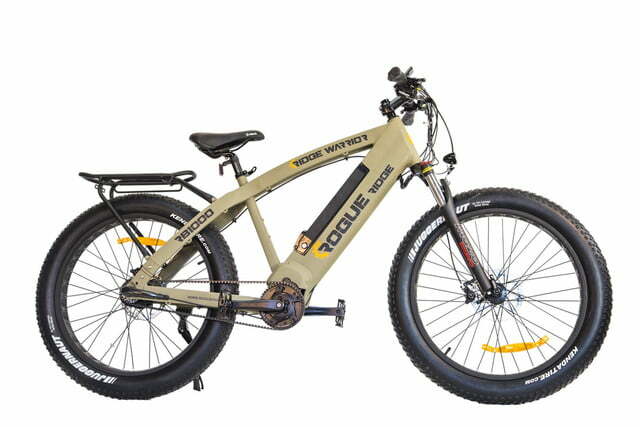 Now, ebike manufacturer Rogue Ridge is looking to change that with its latest creation, which is designed to tackle some of the toughest terrain around. The new Rogue Ridge Model RB1000 (aka the Ridge Warrior) comes equipped with both a powerful electric motor and a large battery to keep it running in the field. 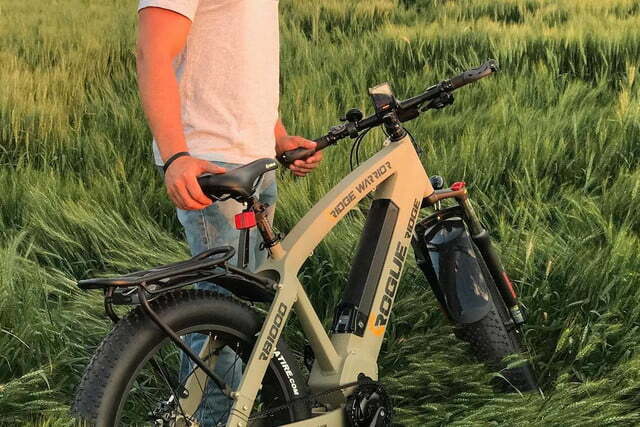 The company says that the bike uses a drive system capable of putting out as much as 1,000 watts of power and that it has paired that motor with a Panasonic 48-volt battery to provide power. The system is controlled and monitored using an onboard color LCD screen that displays speed, distance, remaining battery life, and other pertinent information. 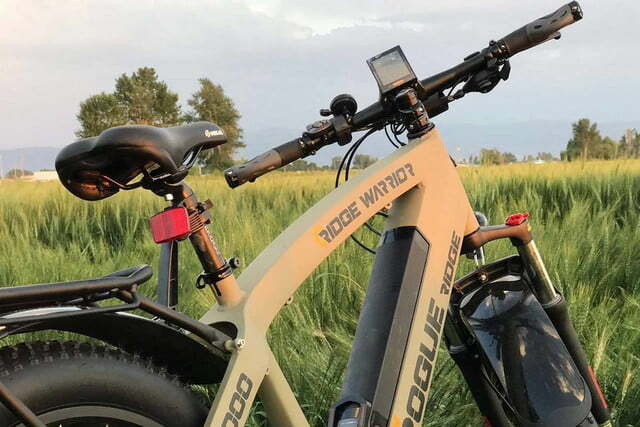 Unlike most other ebikes on the market, the Ridge Warrior doesn’t offer a pedal assist mode. Instead, the fat bike has a throttle mounted on its handlebars that can be activated even when the rider isn’t pedaling. This system allows the bike to reach speeds of up to 30 mph and gives it a range of 29 miles, although using the pedals will extend that range further. The drive system uses a carbon fiber belt that reportedly is rated to last for more than 10,000 miles as well. Other components include a Mozo hydraulic fork with 135 millimeters of travel, a three-speed gear system, hydraulic Tektro brakes on the front and back, and Kenya 26-inch tires. All of that equipment is mounted on an oversized, rugged aluminum frame that is designed to survive the abuse that comes from riding off-road. All of that durability comes at a price, however, as the Ridge Warrior tips the scales at 63 pounds, significantly heavier than most other fat bikes, which already tend to be quite bulky. 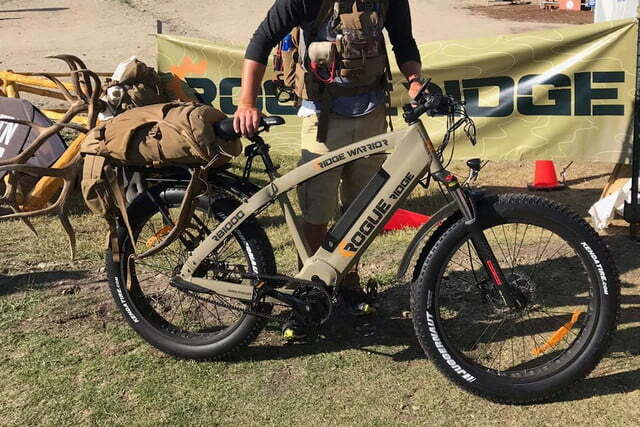 According to Rogue Ridge the company spent two years developing the Ridge Warrior and the bike is available to purchase now. It sells for $4,600 and can be ordered directly from the Rogue Ridge website.